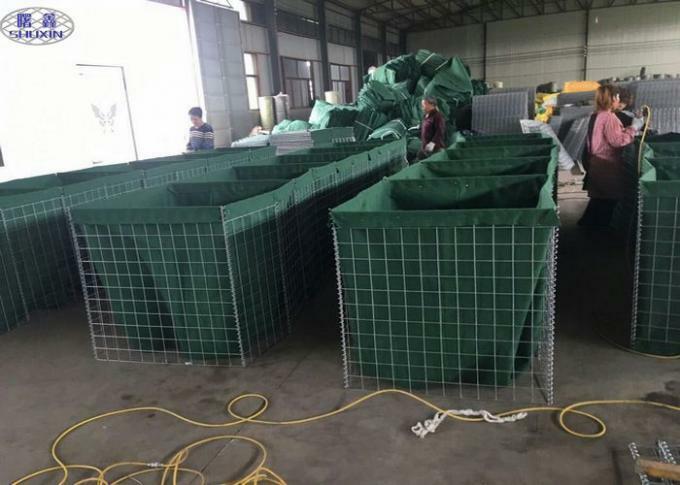 Anping Shuxin Wire Mesh Manufacture Co., Ltd.
Welded Gabion barrier with Geotextile is also named as Welded bastion, Welded defense wall, Welded Barrier, Sand Cage, Welded Gabion box, etc. It is a prefabricated, multi-cellular system, made of Galvanized welded mesh and lined with non-woven geotextile. Units can be extended and joined using the provided joining pins. It is easy installed with using minimal manpower and commonly available equipment. 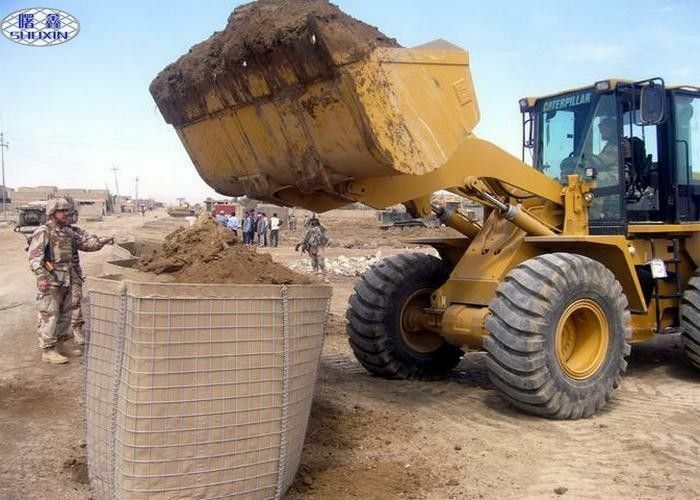 After extended, it is filled into sand, stone, then Welded Gabion barrier like a defence wall or bunker,it is widely used for military fortification and flood control.Accessories Supplied With Carrier Units. It is made of galvanized welded mesh, spring with other fittings, can be filled with sand, earth, cement, stone, can be used in separate cell or some cells joint together. Packing: wrapped with shrink film or packed in pallet. China Good Quality Wire Mesh Pallet Cages Supplier. Copyright © 2017 - 2019 wiremesh-cage.com. All Rights Reserved.